While browsing through NetGalley, I was excited to see a book compared to one of my favorites, "The Storied Life of AJ Fikry" and described as for people who like books. 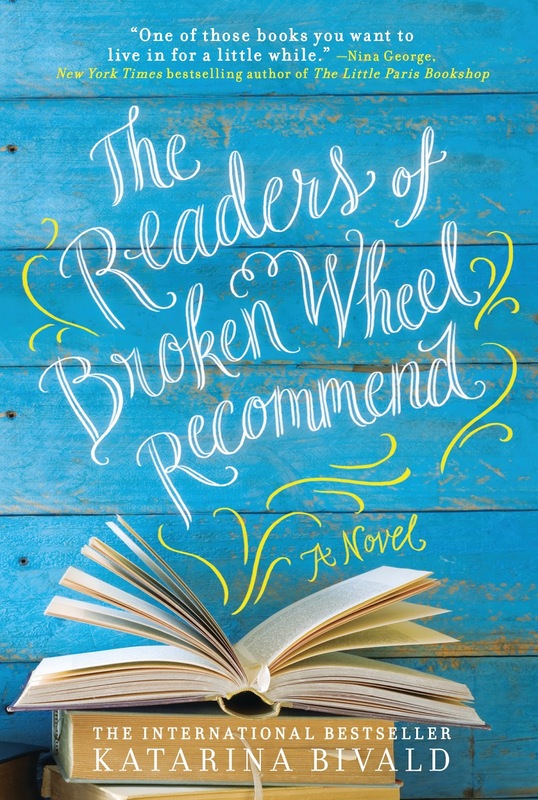 While "The Readers of Broken Wheel Recommend" did not quite live up to that high praise, it was still a light, enjoyable read. Sara is a young woman from Sweden, taking her first trip outside the country to visit her American pen pal, Amy. Amy lives in the teeny tiny town of Broken Wheel, Iowa & the two have been exchanging letters & books for years. Yet, when Sara arrives, she learns that Amy has recently passed away. With months to go until her ticket home, Sara settles into the small town's rhythms and quirks, befriending its few inhabitants, and opening a small bookstore. As she becomes an integral part of the town, other residents begin to concoct a plan to get her to stay. I'll be upfront about my one large criticism. This book was mis-marketed. Though books are a central part of the story, it is not a book lover's book. At several points, characters detail the plots of other novels. I'm not just talking "Of course, Darcy and Lizzy Bennett get together!" but a blow-by-blow plot summary of every major point in Jane Eyre. To make it worse, these spoilers of other novels do not add anything to the actual story itself - no themes, no connections. They're just filler dialogue. A book that respected readers would not drop spoiler bombs without forewarning or at least a justifiable reason. Additionally, the book states "New books always had the strongest aroma," and refers to "those small, independent bookshops that had once existed" as if they no longer exist. As someone who both owns many used books, and shops in several small, independent bookshops, I can attest that neither statement is true. These little details make the novel feel out of touch with true book lovers, and made me question Sara as a devotee of all things books, no matter how much she may love reading. Book-obsessive gripes aside, the core story is charming, if predictable. Sara is a fine narrator, and her love interest and the others in the town fill out the book nicely. At times the diverse characters felt like it was checking a box, but I recognize that in a town with an extremely small population in the middle of Iowa, there aren't that many people at all with whom to work out a diverse cast of characters. The novel touches on the difficulties of being the only black man in a small town, and the only gay couple in a conservative town, though it doesn't delve deeply into them. It's too lighthearted of a book. And if that's what you're in the mood for, this is a solid pick. Verdict: Jury's out, my personal grudge against the out-of-step book decisions are getting in the way of my firmly affirming this book. But if you like charming, feel-good chick lit, this is a great pick that you're likely to enjoy. 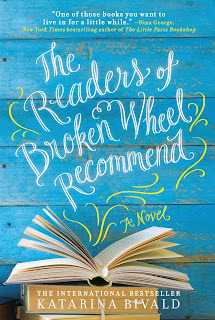 "The Readers of Broken Wheel Recommend" by Katarina Bivald, published January 19, 2016 by Sourcebooks Landmark. Additionally, SOURCEBOOKS Landmark, the publisher of "The Readers of Broken Wheel Recommend," is sponsoring a giveaway. They want to give a local bookstore $3,000, and you could win a $50 giftcard for nominating or voting for your favorite! Click here or the banner below to vote!